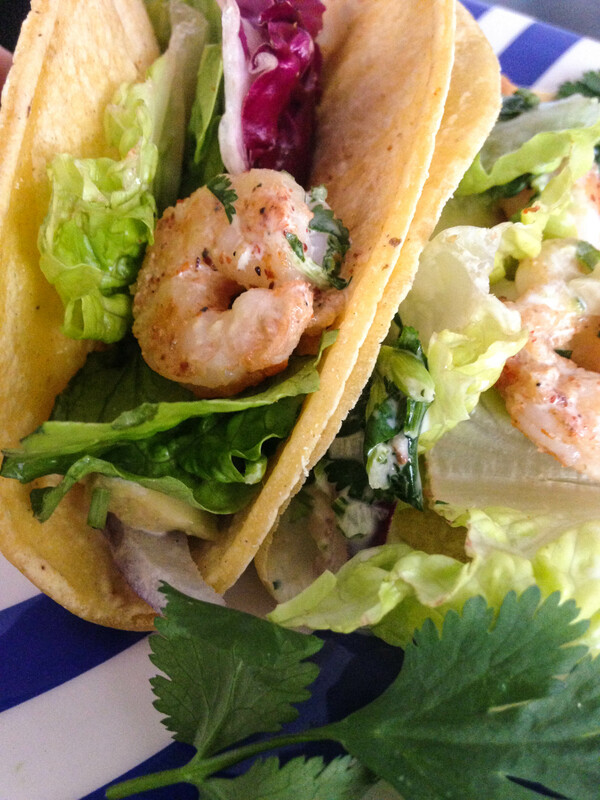 These shrimp tacos are super simple and can be whipped up in a jiffy. They’re fresh and light and they’ll make you wish you were sitting by the ocean with the sand between your toes. I am like, a taco addict. 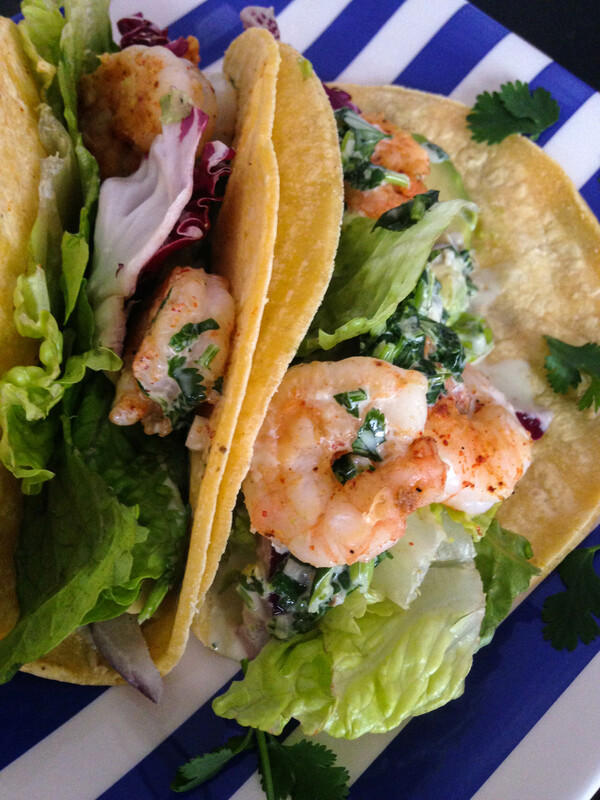 I bet you I could eat a shrimp taco or fish taco every day for the rest of my life and not be tired of them. They’re just SO good. I think part of the reason why I like them so much is because I literally never heard of a shrimp taco until I moved to Colorado. Dead serious. No joke. I didn’t even realize that people ate any fish other than catfish, and all I knew was that we ate it at the annual Rotary Fish Fry. I am not even kidding! I lived in a tiny town on the Mississippi River until I was 13. It was Small Town, USA. I knew Chevy trucks were better than Fords, ground deer meat was a great substitute for ground beef, and the bubbly drink that comes in a can was called “pop”. Was I sheltered? Naiive maybe? Call it whatever you want to call it. I guess I moved to Colorado and my eyes were opened. But I’m proud to have Midwestern roots. I love how versatile tacos are. If you change the spices and leave everything else the same, it’s a different taste! If you switch out the shrimp for fish, again, it would taste a little different! Feel free to add or take out anything you want! This recipe is great for quick lunches on the weekend, or weekday dinners when you are in a rush. 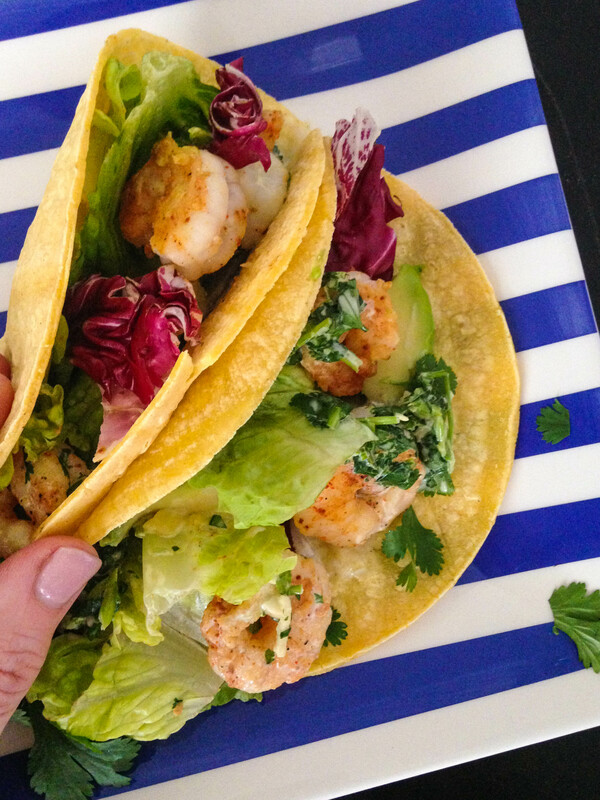 These tacos just so happen to be Gluten Free and Dairy Free as long as you follow the recipe! First, we want to make the sauce. In a small bowl, add the mayo, lime juice, soy sauce, honey, and garlic. Combine well with a fork or whisk. Then add chopped cilantro and stir all together. Set sauce aside in refrigerator. Next, we cook the shrimp. If your shrimp have tails, shells, veins, or anything like that, remove them. Rinse the shrimp until they are clean, then blot them dry with a paper towel. When they are dry, season them with garlic powder, cumin, chili powder, salt and pepper. Heat a tablespoon or two of oil in a pan on medium high heat. Add shrimp to heated pan one at a time, making it so they are all in one layer. Cook shrimp for a minute or two on each side until they change from clear to a pinkish white color. After they’re done, transfer shrimp to a plate so they don’t overcook. 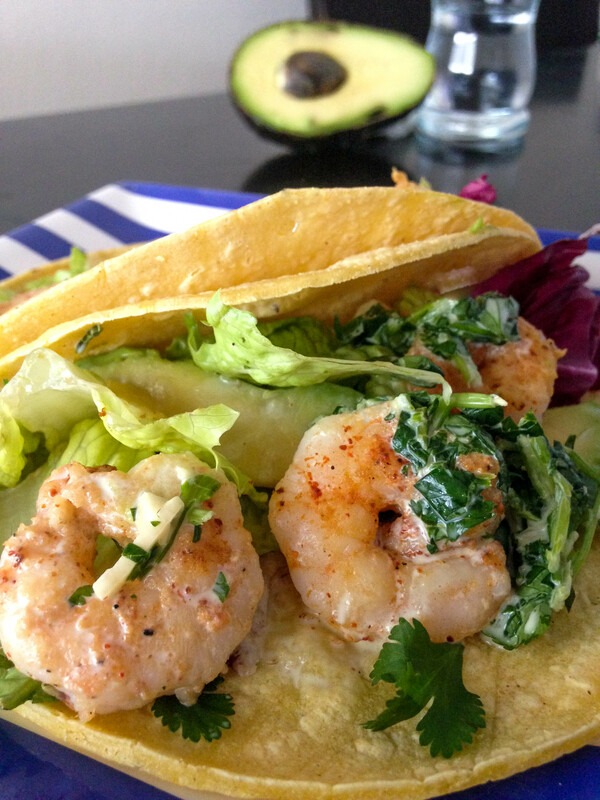 After the shrimp are cooked, heat up your tortillas. I’ve found the easiest way to do this is to dampen a paper towel and cover the tortillas with the damp paper towel before you microwave them. Microwave tortillas for 30-45 seconds or until soft. Slice up some avocado and lettuce or any other ingredients you want to add to your taco. 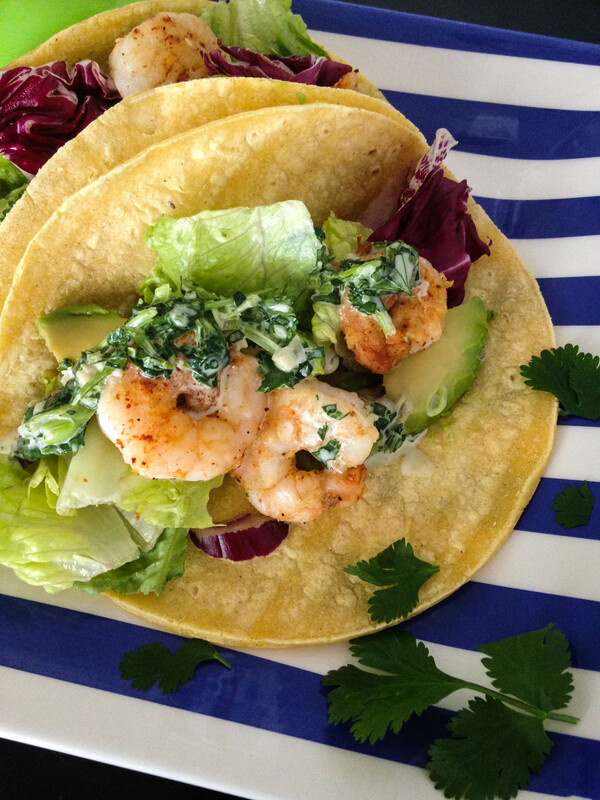 Assemble your tacos by adding 2 or 3 shrimp to each taco and loading it with lettuce and avocado and topping it off with the cilantro lime sauce.